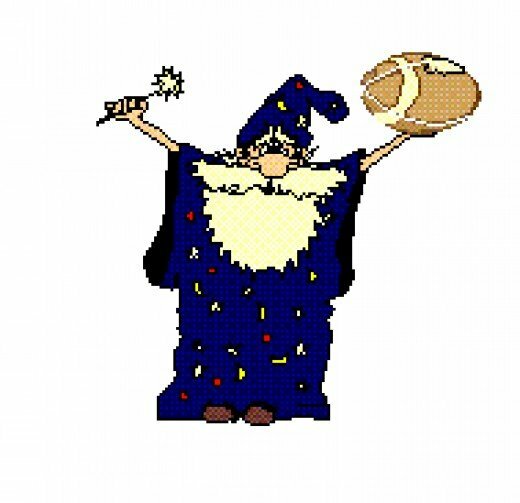 This is your weekly guide to becoming a fantasy football wizard. Use it or lose it. As I said in Part 1, this is clearly the first Fantasy Football post for SKOHRboard so please let me know what you like, don't like, want to see more of, or less of. LET'S DO THIS THING! -Philip Rivers at home against Denver. Rivers is the top fantasy QB right now and he'll be playing at home against one of the worst defenses in the league. -Peyton Manning at New England. The Colts have 5 running backs on their roster and they are all questionable. The one thing that means is more passes for P.E.Y.! It will also help him that the Pats have been playing pretty bad pass defense this year. -Drew Brees at home against Seattle. Brees has had an up and down year but it seems like the Saints are finally starting to come around. They are coming off a bye and get to play at home against a young Seattle defense who has given up a lot of points this year. *(Update)* It has been brought to my attention that my QB and RB suggestions were about as lame as could be. I'll throw in an extra 3 QBs to start this week. Josh Freeman at San Francisco, Matt Cassel home against Arizona, Mark Sanchez home against Houston. All of these guys are facing poor defenses and have shown huge improvement in their game from the beginning of the season. Doubtful that they are all taken in your league so go get one if you have a bad matchup for the week. -Mike Vick at home against the New York Giants. Vick put together one of the best fantasy performances of all time last week against the Redskins but I don't think he is going to do it again this weekend. I've been an Eagles fan for a long time and these game always seem like they are 17-20 slugfests, not fantasy scoring expos. Plus the Giants have knocked just about every starting QB they've face this year out of the game. -Eli Manning at Philadelphia. The Eagles defense has really turned it up in the past few weeks and should really get after Eli this weekend. He is also missing his 2nd favorite guy and really the guy who helps make this offense go in Steve Smith with a torn pectoral. -Ryan Fitzpatrick at Cincinnati. The Bills are coming off of their first win of the year in which Fred Jackson finally got it going running the ball. The Bengals are coming off of a crushing defeat to Indy and their 6th in a row. They have to view this game as one they should go out and dominate. Expect the young and talented DBs at Cincy to be all over the Bills WRs. -Frank Gore at home against Tampa Bay. Gore has been on fire this year and facing one of the worst run defenses in the league makes playing him a no brainer. -Chris Johnson at home against Washington. I can't imagine that you'd sit Chris Johnson but I expect him to have a huge game this week. The recently embarrassed Washinton D will be all over newly acquired Randy Moss and leave just a few too many slivers for CJ to take advantage of. -Peyton Hillis at Jacksonville. After a very tough loss to the Jets, expect the Browns to come out angry. Actually the Jags just pulled off a Hail Mary win and I have to expect some self satisfaction to make them come out soft. Watch for a very hard runnin' day from Hillis. *(Update)* It has been brought to my attention that my QB and RB suggestions were about as lame as could be. Here are 3 additional RBs to start this week. Knowshon Moreno at San Diego. He's finally healthy and will see a lot of work if their offense can come close to last week's production. Felix Jones home against Detroit. If they keep playing up to their "talent" the Cowboys could put big points on the board. I also think that Jason Garrett will try to utilize Jones a lot more than Phillips did due to his positional flexibility and speed. LeGarrette Blount at San Francisco. Seriously pick this guy up if you still can. He is definitely their top RB and this offense is young but getting better every week. -Michael Bush at Pittsburgh. McFadden is back to being the primary back but Bush is still an ok 2nd RB or flex but not this week. They are going to be playing in Pittsburgh who I'd imagine would be just slightly ticked off after last week's crushing loss to the Pats. Expect lots of hitting in this matchup of two hard-nosed teams. -Matt Forte at Miami. The Dolphins know they need to step up their D this week with their 3rd string QB Thigpen starting. Expect the 'phins already good run defense to get after Forte and force Cutler to try to beat them. -Ryan Torrain at Tennessee. Even though it sounds like he is going to be playing this week with the emergence of Keiland Williams last week I can't see Torrain getting the lion's share of carries. Besides it doesn't look likely that any of the Redskins running backs will be able to get much going against the Titans. *Bonus* DeAngelo Williams, RB Carolina is on IR. Please cut him or move him to IR if you are in a keeper league and think he is going to be amazing next year (you are wrong, he won't be). -Marques Colston at home against Seattle. Colston has finally gotten over the injuries that plagued him to start the year. His health combined with the total lack of running game should have Colston taking advantage of a weak Seahawk secondary. -Mike Thomas at home against the Browns. I think the Browns are going to be heading to Jacksonville looking for a fight and will take it to the Jags early. Meaning there will be plenty of passing going on to catch up and it's become clear that Thomas is the new favorite target for QB David Garrard. -Mike Williams (Seattle) at New Orleans. The Saints have started to dust off their offense lately and I expect the huge numbers of targets that Williams has seen lately to hold steady this week as they keep throwing the ball to try to keep the game close. -Santana Moss at Tennessee. If last week's display of complete ineptitude of Santana Moss I don't know what was. He is far from McNabb's go to target and Tennessee has been playing good defense this year. -Davonne Bess at home against the Bears. With Thigpen starting expect lots of passes going to Brandon Marshall and Anthony Fasano. It's my opinion that backup QBs love their tight end as a check down and put blind faith in their stud WRs. -Derrick Mason at Carolina. Mason is coming off of his two best games this year, but unfortunately it's with a broken finger. As admirable it is that he'll play with it, I can't imagine Flacco or Harbaugh calling his number very often against over the over-matched Panthers. This is going to be a big day for Ray Rice, not Derrick Mason. Yeah I started realizing that about halfway through the post. Hence the receivers are a little bit more informative. Thanks for the advice though! However, I do expect those guys to put up big numbers this week relative to the other "top" guys. Ok Anonymous, your power of suggestion compelled me to update the post with some guys that most people would consider "on the bubble" week to week.